If anyone has the right to wake up in the morning feeling like P. Diddy (aside from the P. Diddy), it’s definitely Captain Kirk. 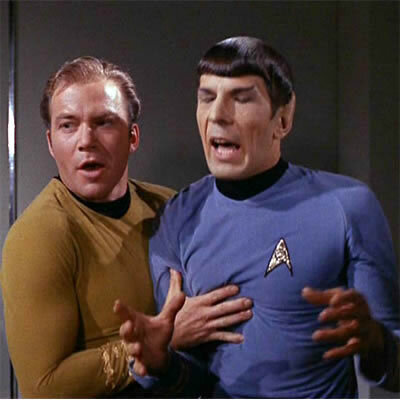 YouTube user MissSheenie’s Star Trek (The Original Series) fan-video set to Ke$ha’s “Tik Tok” is amazing, complete with Kirk sluttiness, Spock’s awkward tapdancing, Scotty and Chekov being ridiculously adorable, and even Pon Farr. And oh dear God, the slash. Hit the jump to check out the video.